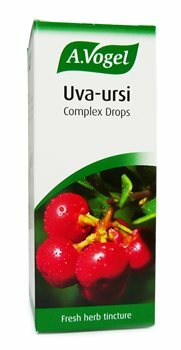 Uva-ursi Complex is a fresh herb tincture containing Uva-ursi and Echinacea purpurea. Generally: 15 drops twice daily in a little water. Acute situation: 20 drops 3 times daily in a little water. Maintenance; 15 drops once daily.